How to get your profile pictures to fit within the allotted space. Do you use your logo? Should you have a picture of yourself? If you’ve invested in branding and have a logo that you are hoping to use to project a unified image across all social channels, your website and on printed material you possibly think this is the best option. But before you do just consider the image you’re projecting and the audience you are hoping to engage. If you’re a small to medium sized business and you will be posting for the company then yes go ahead and use the logo. Do make sure it’s the right size and all of it is visible … more on this later. Using a head-shot may be better if you are a small business, possibly a sole trader. In this instance, you are the business and it is you who people will be engaging with online and ultimately doing business with. Your online audience will be engaging with you personally so choosing a picture that represents you as the face of the business is sometimes a better option. If you’re going for a head-shot of you it’s worth investing in a session with a professional photographer. Tempting though it is to try and cut costs here, that blurry shot of you at a friend’s party with the wine glass cropped out is not really going to cut it. 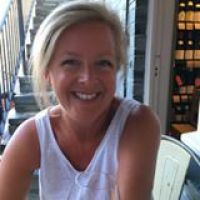 If you need a little more convincing have a read of this post which discusses profile pictures for your website, but also the importance of having them professionally taken. This is the option that I have chosen. I do have a logo which appears on my website and all my business documentation. However, I am a small business and it is me directly who is the point of contact for anything relating to the business so using a head-shot is the best option for me, but I did want to include my logo also so have added that over the top of the profile picture that I have chosen. If using your logo make sure that all of it is visible and nothing gets cropped out and the quality is good. Keep it central. For head-shots, aim to get your face in the middle of the allocated space. It goes without saying that it should be your whole face. Unless you have celebrity status and are super cool your left eye on its own is not going to work. You want to look professional and you want your audience to be able to recognise you … your whole face please. Twitter recently changed their profile image from a square to a circle. So, like me, you may have found part of your image being cropped out. The edges of my logo were missing. Essentially you still need a square image but you may need to include a little bit more negative space, or background, around the edges. Remember your profile picture will be visible on different devices. 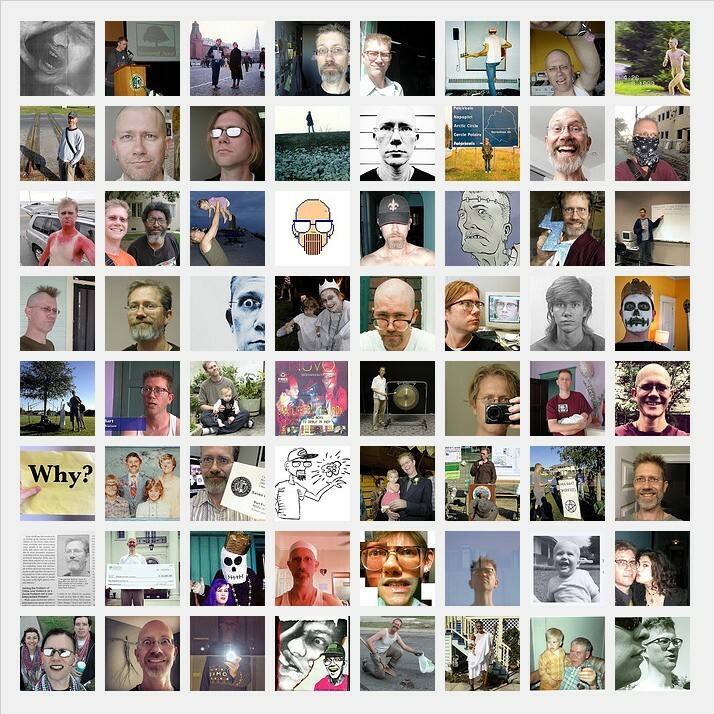 The largest being on desktop at 500 x 500 pixels when a user clicks on your profile picture to see it in more detail. Size your image to this and then Twitter will scale down as needed. Loading a smaller image will result in loss of quality when the picture gets scaled up. Your Facebook page profile picture again needs to be square and will be displayed at 160 x 160 pixels. However, Facebook requires your image to be at least 180 x 180 pixels to load it. When loading larger images, you do have options to resize and select the area of the image that you want to use which is great when loading a photograph. If you’re using your logo do make sure that it’s in the middle – it may be easier to make sure your image is in the middle of the optimum size before loading. As with Twitter your Linked in profile picture will now appear within a circle. So, do make sure that there is a little bit of white space around any logo that you are using. The image will be displayed at 200 x 200 pixels so aim for this size, but images up to 400 pixels square can be loaded. Linked In does also offer some useful cropping and filtering tools when loading as well as a very useful feature which allows you tilt and rotate your chosen image. Linked In is slightly different from the other channels as it really is a professional networking tool online and it’s about connecting with other professionals. So, unless you have a business profile for your company, use a headshot of yourself. Instagram profile pictures again are within a circle so need to have a square aspect. The optimum size is 110 x 110 pixels. This is the size that they will be displayed at and unlike some channels you cannot click to zoom in. This is not a comprehensive list of all social channels, but it does include the ones that most of you small business owners are using. While researching this topic I did find the article below which has a great info graphic with comprehensive details of all image sizes for most social channels including profile pictures, and also headers and covers and post or tweet images. Aim to use the same profile picture across all your channels to create a consistent brand image … ideally an image that matches any that may be in use on your website. If you’re having problems with sizing images or getting a consistent look please do get in touch. We’re always happy to help when we can or point you in the direction of someone who can. "No one's seeing my Facebook page posts!" Are you a reluctant small business blogger?